While the costs of mobile devices continue to rise with every model, so do the costs associated with repairing them if damaged. 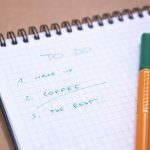 As a tool that is used in nearly every aspect of life on a daily basis, necessary measures are required in order to ensure that it lasts for its planned lifetime. For this reason, investing in a protective case can serve to mitigate the risk of damage when a device is dropped or from regular wear and tear. For those who are not familiar, a wide range of iPhone cases are covers can be purchased at nearly every electronics store or online for extremely low costs. Deciding on the one that is suitable for your specific needs requires analyzing the price, functionality, and design of the case. With such a vast selection of cases available, differentiating between the best one can be difficult without the proper understanding of the different types and features in order to eliminate the unnecessary ones. This list breaks down the types of cases and covers available as well as the best ones on the market for the everyday consumer. Flexible Silicone Cases – As one of the most popular type of iPhone cases, these cases are extremely inexpensive, especially when bought online. The cases range from thickness, texture, and design but all perform the same function of simply protecting the phone. Beyond this, the case serves very little purpose. Leather Cases – As opposed to the cheaper look and feel of the flexible silicone cases, leather cases and covers deliver a premium look. Many of the leather cases cover both the front and back of the phone to protect against dropping the phone on its face. Leather cases that must be flipped open to reveal the screen offers additional functions of having several slots to store credit and identity cards. For the look and feel of leather covers, costs are generally higher than flexible silicon cases. Battery Cases – For a more functional case, battery cases offer an ideal solution to those who are constantly in need of recharging their device. Beyond simple protecting the iPhone, the battery case is able to simultaneously charge the phone while on the go, prolonging the battery life. While these cases need to be charged, they offer protection against dead batteries along with physical damages. Although these cases tend to be more bulking, they are highly functional for a cost generally higher than leather covers. Stand Cases – Enjoying video content can be tiring to the user if they are forced to prop the device up with their hand to achieve the desired viewing angle. Alternatively, having the iPhone flat against the flat surface can make viewing difficult and strain the neck. With this, cases that have stands on the back to prop the phone up have been extremely popular among those who regularly watch content on their device. Solar Charging Cases – When on-hand battery is not enough, solar charging cases provide the ability to charge while on the without the need for an outlet. With solar panels on the back of the case, these covers ensure that any light source will be able to charge the phone, although at a slower pace compared to wall chargers. This type of case strongly resonates with those who are constantly outdoors or are exposed to a high degree of sunlight. 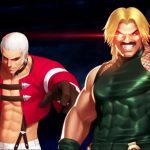 In terms of more specific cases available on the market, the following list compiles the best iPhone cases and covers for a wide range of uses. 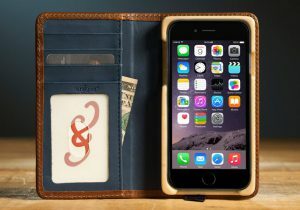 Pad & Quill is commonly recognized for maintaining high-end luxury iPhone cases. The Pocket Book Case is one such example of a high quality leather case that covers both the front and back of the phone. Made using the best quality American leather, the case protects the phone while offering several slots in order to keep money and identification cards as a means to replace their wallet. The case comes with 5 card holders and a hidden cash pocket, making it bulky and heavier although very function. At $90 USD, this iPhone case can be purchased in 5 different color combinations and personalized per the specific needs and requirements of the users. Nodus Access Case 2 is another premium case made of quality leather. While the color selection is more limited to only 4 colors, the cover also protects both the front and the back of the device. One of the most impressive features about this iPhone case is its use of Micro Suction Technology. These cups are in a position in such a way that it is able to hold the iPhone firmly in place without having it move around in the case. Designed for simplicity, it is meant to only store 3 cards so that the weight and size of the cover is kept at a minimum. At $55 USD, the Nodus Access Case 2 is meant for those who are looking for a premium look and feel of a case while offering a high degree of protection for their device. 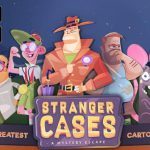 To differentiate itself from other cases available on the market, Zigg has released a case with unique characteristics. The black bumper of the Speaker Case is that it can be separated into two parts. The first part acts as the protective layer surrounding the phone while the second part is equipped with buttons for a range of functions such as volume, power, and play. 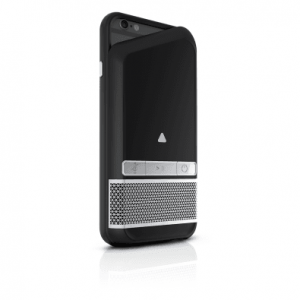 The second part of the case also houses the separate microphone and Bluetooth speaker in order to take calls or listen to music that is louder and clearer that the built in speaker of the iPhone. Additionally, the case also has an additional power source so that it can be utilized as a portable power bank. While the price of the case is at $59.99 USD, it is specifically designed for those who are regularly using the speaker function of their phone but wish to enhance the sounds quality as well as protect the device. 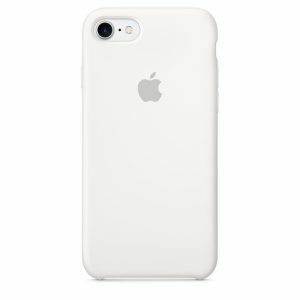 Provided by Apple, the Silicon Cases is one the simplest cases available for iPhone. With a soft microfiber lining, the silicone surrounding is able to keep the iPhone safe from damages such as regular usage or drops. For those who are looking to keep the minimalistic design that is often associated with Apple products, these cases offer a cost-effective means of protecting the phone with the desired simple design. Coming with an assorted selection of colors, the case is available for $45.00 USD but many alternative cases with similar designs and protective capabilities can be found online at extremely cheaper prices. Furthermore, the case fails to protect the front of the screen in the event that it is dropped on an uneven surface. Trident Aegis Case is a rugged case designed for heavy damage protection as opposed to simple drops and minor scratches. The thickness of the case makes it perfect for those who are often outdoors or working in heavy-duty activities. The case is made of durable material and has the potential to provide utmost protection to an iPhone from significant drops. Although it is able to protect the iPhone in nearly every angle, the lack of a front cover makes the phone’s screen exposed although the thicker bumpers do extend to the front of the phone to some extent. Trident has countered this by offering a protective screen cover to protect the front of the device. Furthermore, the case is 810F military standard to ensure that it is able to offer adequate protection in every situation. 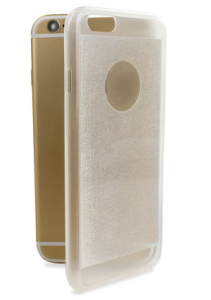 For greater ability to use and grip the phone, the Speck Candyshell Grip Case utilizes unique technology to protect the phone and enhance usability. What sets the case apart are the rubber strips for a no-slip grip that makes it perfect for texting with one hand. The Grip Case uses a two-in-one protection system that has a hard shell on the outside, a shock-absorbent cushioning on the inside which is fused together for multi-impact protection. A round lip can also be found which provides enhanced protection to the screen. Available in a wide variety of colors, the case is cost-effective compared to the other cases on the list at only $27.96 USD. Another budget friendly iPhone case is the Encase Flexishield Glitter Gel Case which is made of translucent gel that provides a unique touch and feel to the users. The stylish glitter design stands out from the rest of the bland cases while the durable material is designed for long lasting protection. Furthermore, the non-slip coating offers extra grip so that users can easily take pictures, videos, and use the device with one hand. The slim-fitting design of the cover adds no extra bulk in order to ensure that the iPhone and case have a low physical profile. The bezel of the Flexishield Glitter Case is raised so that the screen is protected from scratches and dirt when dropped. For those who are often outdoors, the Kenu Highline comes with an attached bungee cord to ensure that the iPhone is always accessible and not lost. The bungee cord helps to secure the phone so that it never hits the ground, even when purposefully dropped. All the user needs to do is attach their device into the protective case that is included in the case that is included. 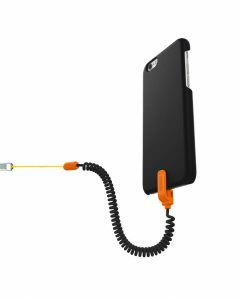 Although the case has nothing special to offer specifically, the differentiating value comes in the Lightning port that enables the cord to be securely fastened to the case. The other end of the bungee cord is attached to the zipper so that no matter what the user is doing, the phone is protected from being lost or damaged. While many of these cases offer significant protection to the iPhone, they often completely surround the phone and hence the user must compromise the look of the phone for the additional protection. Rhinoshield Crash Guard Bumper has been designed for such individuals who want to protect their devices while maintaining minimalistic look of the classic iPhone. 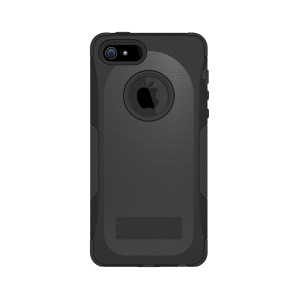 The case is simply a solid protective bumper available in several different colors that offers jump a bumper that is supposed to give the same protection as regular cases without the additional front and back covers. The rigid rubber is able to give a thin alternative to regular cases but still give superior protection against dropping. Through this style of protection, the case cost is kept at a minimum while offering the same protecting power as more expensive cases. 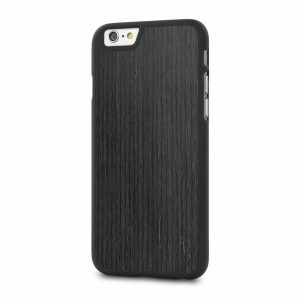 Moving away from the metallic and high-tech feel of many modern day cases, the Cover-Up Woodback cases brings a classical look to the cases at a cost-effective price. The wooden panel which has been introduced to the rear side of the iPhone case offers a variety of different woods that can be used as the protective cover ranging from mahogany to cedar to maple. To further customize the design of the case, users can pay an additional $5 to have a custom design such as a lightning bolt or a treble clef on the wooden cover. With such a wide range of types of woods, colors that are selected are naturally in the wood to give a better finish when compared to cheaper, plastic cases or covers. 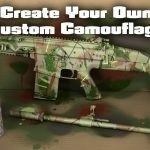 With such a wide range of cases available on the market that offers a host of functionalities, this list offers a comprehensive description of the most prominent cases that can be utilized in any situation. At different price points, the cases can be purchased at a price that is suitable for the budget of the iPhone user either in store or online. A cost effective solution to ensuring that the device is functional for several years, these cases and covers offer protective capabilities along with a host of functionalities to meet nearly every need of the user in any situation.